Meditation has traditionally been associated with serious practitioners and Buddhist monks. During meditation, the alpha brain state is activated; alpha is a calm state of full alertness and focus. Recent research suggests meditation may significantly reduce stress and increase overall well-being. For example, a study of caregivers of family members with dementia who meditated 12 minutes a day for 8 weeks, for a total of ten hours in total, experienced significant benefit. Reducing stress through meditation may slow the rate at which people age. A study on cellular aging found that telomere length is directly related to how stress impacts the body on a chromosomal level. Telomere length shortens with age, affecting health and lifespan. Those who incorporated healthy diet and lifestyle changes, such as meditation, may reduce excessive telomere shrinkage and perhaps even increase telomere length, thus slowing down aging. 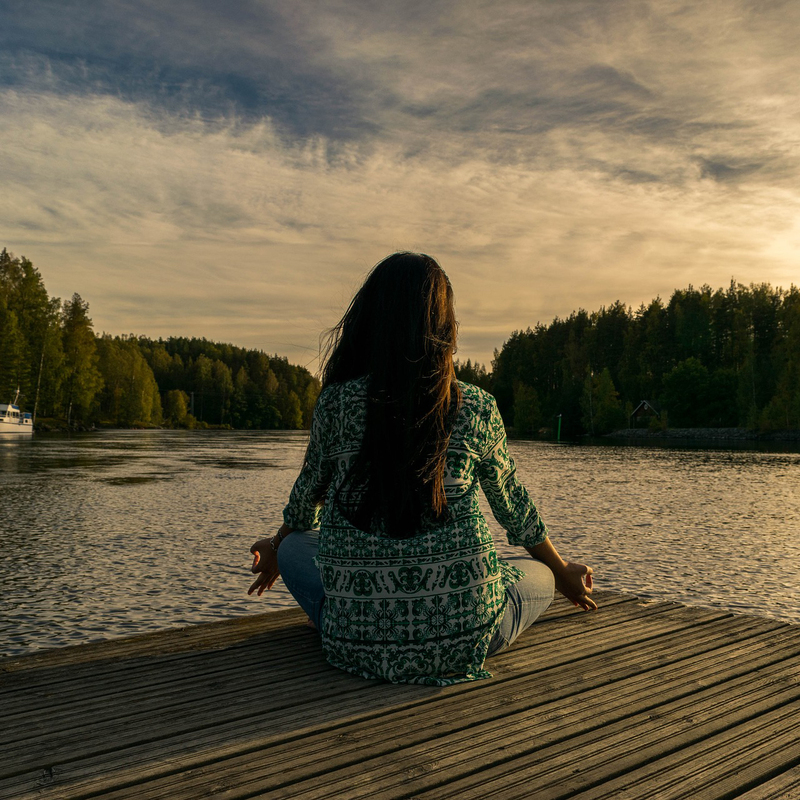 Meditation, along with a combination of black, green, or white tea, which has been found to activate alpha brain waves, and incorporating a whole foods plant-based diet, may lead to a healthier lifestyle. Image Credit: Shahariar Lenin / Pixabay. This image has been modified.